A NEW AIRLINE CREW SIMULATION FOR YOUR PMDG JETSTREAM HAS JUST ARRIVED AT THE GATE!!! The "Voice Commander" version of FS2Crew for the PMDG Jetstream was heralded a major accomplishment in the history of flight simulation for its realism and attention to detail. However, some users don't feel comfortable "talking" to their computers in English, and some can't set their Windows Speech Recognizer to English because they have non-English localized versions of Windows. And some people just don't have a microphone! 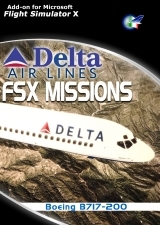 This new FS2Crew release was made just for that group! 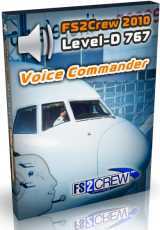 Now everyone can experience the best and most realistic "Airline Crew Simulation" ever made for the PMDG J-41! Instead of using "Voice Control", this new Edition allows users to interface with the simulation using Joystick/Keyboard button presses (just like the older non-Voice FS2Crew versions).